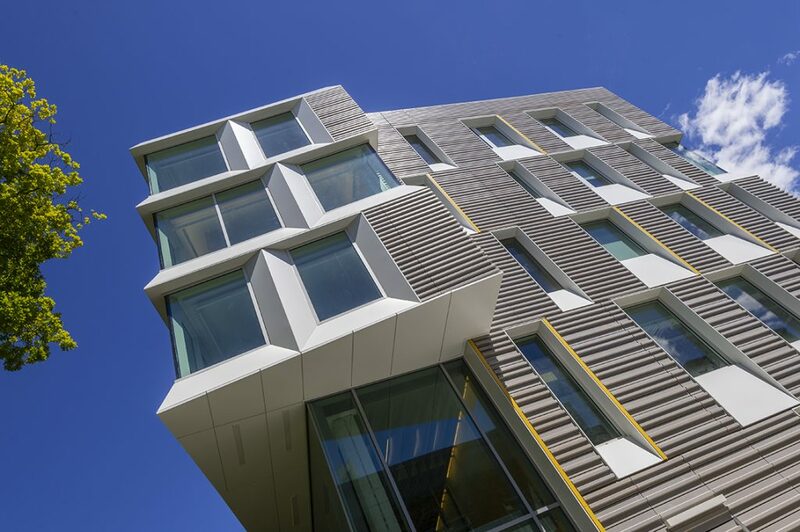 Building Design + Construction‘s October feature, October Products at Work, highlighted the Cornell Upson Hall project and the use of Metalwërks’ Arcwall™ as a design solution. Project: Cornell University Upson Hall, Ithaca, N.Y. Problem: The owner needed to update the facility to thermally efficient, 21st-century standards. Solution: Metalwërks provided 29,000 sf of ornamental metal enclosures for the window surrounds and Arcwall™ aluminum plate panel rainscreen for soffits, fascia, and coping. The rainscreen system can be flat, curved, or formed into custom 3D profiles. It can be installed horizontally and vertically. The plate afforded the designers control over the façade geometry, while also accommodating a high-performing wall system. On the team: Perkins+Will (architect) and Thornton Thomasetti (façade and structural engineering, LEED management, energy modeling).